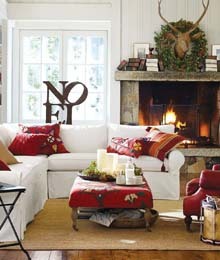 Sweet, rustic touches like this ‘Noel’ sign will make your home merry and bright this season. Don these white coral Angelica earrings for an alluring look. This platter of luxury chocolates with Swarovski Elements will bewitch your guests. Cast a spell with these bold and unexpected accessories from Anthropologie. Find your fancy flair with this baroque-inspired Kotur box clutch.